On April 23, 2001 I had the pleasure of going to my very first Night Of A Thousand Stevies in New York City. Actress Sara Rue of Gypsy 83 performed the song "Gypsy" in the costume I custom created for her for the filming of the movie. She put on a great show! 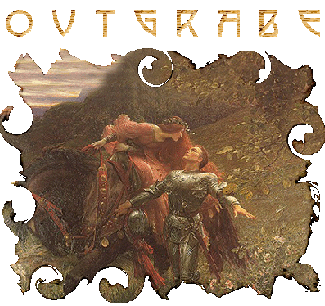 Designs by Bear client Chloe Calaveras plays with a band in the San Francisco area called Outgrabe. Far from being just another local band, they are getting international attention and have won awards for their video for "Bullet the Blue Sky." Visit their site for more information, music downloads and paper doll fun! Gypsy Press Comics used a cloak from the Designs by Bear collection for their model of their Pharoah comic book. 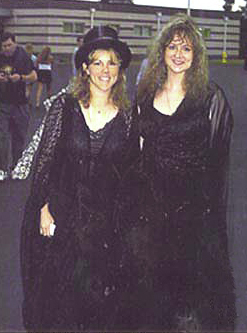 Chanel and her band Mirage perform as a Fleetwood Mac tribute band on the East Coast. 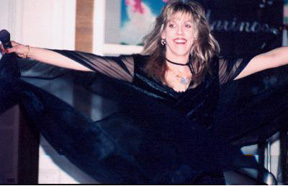 Kathy Crystal, formerly of the Marino's Band does Stevie Nicks/Fleetwood Mac tribute shows in the PA/NJ area. 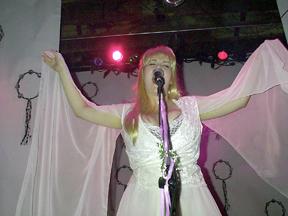 Lizzie Davis does Stevie Nicks tribute shows all over the United States.